Procter Automotive offers peace of mind to motorists dealing with a check engine light in Abilene, TX. A check engine light is your vehicle’s warning system – and can indicate anything from a loose gas cap to major engine troubles. At Procter Automotive, our skilled ASE certified staff will link up with your vehicle’s computer to diagnose the issue and determine a solution. Have a classic vehicle without sophisticated electronics? With nearly seventy years in business, we have seen it all, and can skillfully diagnose older vehicles as well. Do not drive an auto in need of electrical or any other auto repair one day more than necessary. Bring your vehicle in to have its check engine light evaluated at our Abilene shop. Our expert technicians will get your vehicle back into great shape, and at a fair and reasonable price. 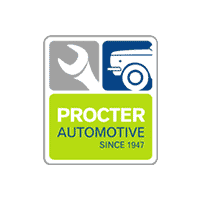 The Procter Automotive shop is conveniently located on Butternut Street near Interstate 83. If your check engine light is illuminated do not continue to drive and worry take the short trip to Abilene and let us check it out. Whether the issue is minor or major, we will get you back on the road fast and at a fair price. Our repair auto shop is open from 7:30 a.m. to 5:30 p.m., Monday through Friday. Give us a call today to set up your service appointment; we are also happy to answer any questions you may have prior to service. We specialize in car maintenance, transmission repair, alignment, oil change, brake repair, clutch replacement on any car or truck, so if you need to schedule service on your time, then our online appointment scheduler is for you. To get started select “schedule an appointment”. Select up to three appointment dates, indicate the time, give your vehicle’s information, and provide a description of the service or diagnosis your vehicle requires. We will contact you to confirm your selected appointment time, or suggest alternative dates if necessary. Whether you need auto electrical repair or just a basic oil change, the expert and friendly staff at Procter Automotive are here to help.